About « GASTHAUS: got 'kraut? I lost the email address to send the pics from my birthday to you. If you write me back, I can send it to you as an attachment. I am just now getting my new computer established!! Better late than never! My husband took me to Gasthaus for the first time tonight for my 65th birthday. The service was great (thanks Jill) and the food awesome. We had such a memorable evening and look forward to coming back again and again. Everyone was so gracious and welcoming. Thank you. About 7 years ago, a friend of mine suggested that we try to find some authentic German food. 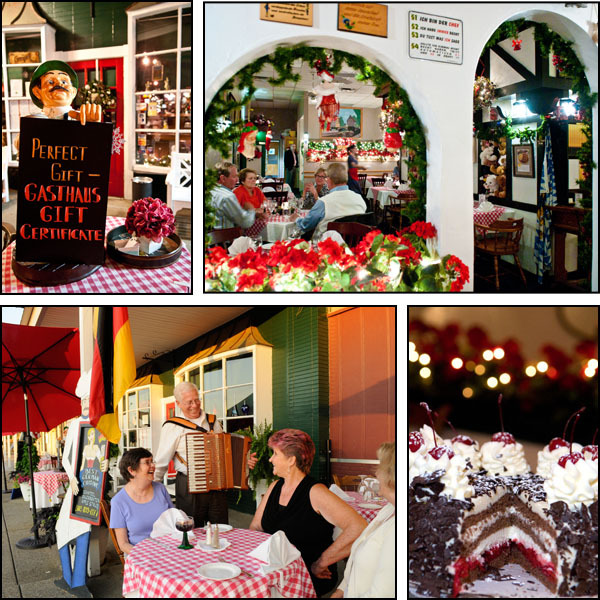 It was Thanksgiving week and I remember checking the phone book and seeing the Gasthaus listing. We decided to go not really knowing what to expect (echt deutsch food in Louisville?). Since then a trip to Gasthaus has become our Thanksgiving tradition. The food is always fantastic and the service is always friendly. I wish you and your family continued success! ich habe euch übers Internet ausfindig gemacht. Uns geht es auch gut. Gruesse auch zuruck an euch! Les’ hier was wir machen. I have to thank you again for the recommendation of your family’s Gasthaus. The food was AMAZING and we found it a very enjoyable place for dinner. Next time I visit Louisville I will be sure to stop by for a delicious meal. Das Essen ist wunderbar und die Leute sind freundlich. Keep up the good work. This restaurant is the best ever I have been going there for about 10 yrs.. Ms Annemarie is so nice and her daughters are awesome..I love the atmosphere so festive..carry out is outstanding too..having carry out tonight! I wish you and your family a wonderful 2014 and will be in more in stead of carry out!